Lincoln Recent News: Girls' Reach Finals of NISSA Volleyball Tournament! Girls' Reach Finals of NISSA Volleyball Tournament! 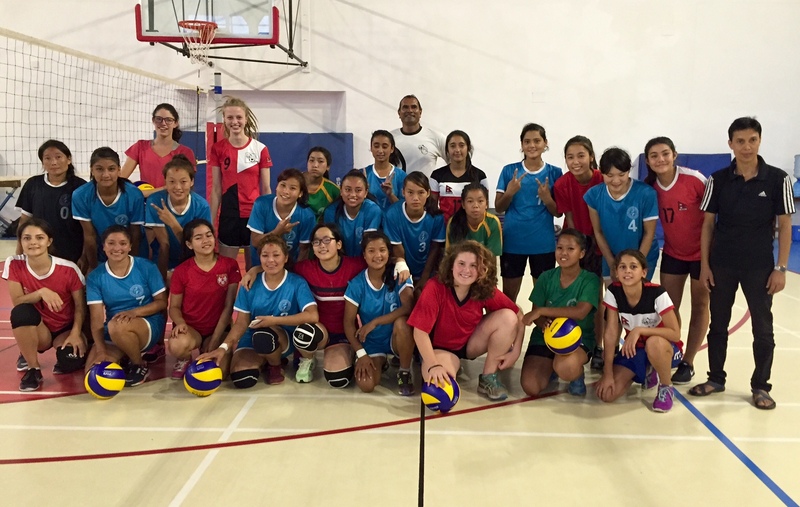 In this year's NISSA Girls’ Volleyball Tournament, our young girls team improved immensely over the course of the day. Despite missing a few players due to injury and sickness, the girls pushed through and gave their best in every game.The long day began with a game against one of our rival schools, The British School, which we won two sets to none. Soon after, with little time to rest, we played against a local team from Valley Public School. We thought this would be a quick and easy win, but we lost the first set and came back to win the second and third sets to ensure our place in the finals. The team then rested and ate lunch before playing their hardest competition yet. It was an intense first set that eventually ended with a score over 25 points. Although we played extremely well, we lost the first and second set to the Jawalakhel Club team. Even though we didn’t win our third game, we would still advance and play one more game against the same team that beat us the game before. As game time arrived, the team got pumped and became mentally prepared for our final game. It was hard fought, but in the end fate was against us. Losing both sets 25-23 and 25-12. Although we didn’t take gold, this tournament has helped each player individually and has helped prepare our Lady Leopards for SAISA this year.